HMD Global to launch the Nokia 6.1 Plus with notch display, dual camera. The device will come with a 5.8 inch FHD+ display with an aspect ratio of 19:9. The device will go against mid-range devices like Redmi Note 5 Pro and Asus Zenfone Max Pro. Vivo Y83 Pro available for pre-booking at Rs 15,990; no official confirmation. A retailer by the name Mahesh Telecom revealed that the device is already available for pre-booking. It comes with a 6.22-inch display. 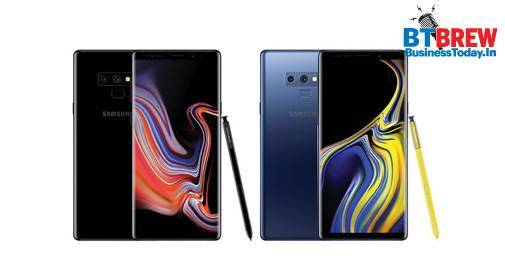 Samsung Galaxy Note 9 outperforms Galaxy S9 in pre-bookings sales. According to media reports from South Korea, the Galaxy Note 9 has received up to 50 per cent more pre-bookings that the Galaxy S9. The massive battery, bigger screen and new S-Pen could be the reason behind the better reception.